Early 1955, a group veterans built a state farm in the land of Xishuangbanna. 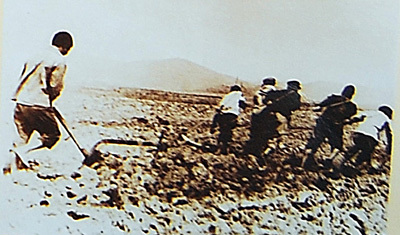 Early 1964, the team began to produce tea artificially. 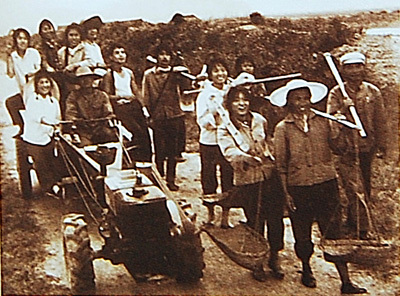 Mid-March, they set up a tea processing group and gradually developed into a large-scale tea processing plants. 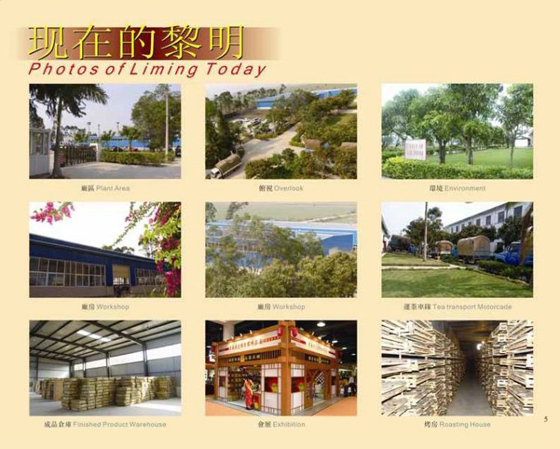 After half-century of hard work, a small farm evolved into today's Liming tea factory. Liming tea factory, one of the four major tea factory, is now the only state-owned tea factory in Yunnan Province. Liming TF mainly produced green tea and black tea in the past. 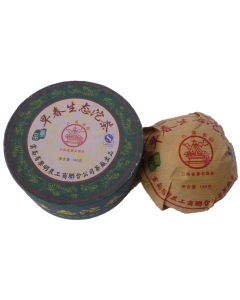 2001, they started to trial-produce pu-erh, which is made of high quality maocha by traditional technics, mellow flavor, sweet with long rhyme. Liming TF chose "Ba Jiao Ting" (octagonalpavilion) as their pu-erh trademark. 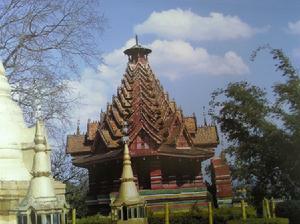 First, because it has the special geographical position - is located in the xishuangbanna, the hometown of pu-erh tea. The second is "Ba Jiao Ting" have a special meaning. Octagon in legends represent eight monks around Buddha, to Liming TF, the eight monks represent tea lovers all around the world. When in possession of a great tea, tea lovers always look forward to share with like-minded people. Liming TF use "Ba Jiao Ting" tea as a friendship bridge.